The female victim delivered an emotional victim impact statement in court today. The court heard that the abuse took place about twenty times a year, when both victims used to stay overnight at their grandmother’s home where the accused also lived. She said would never forgive herself because of the abuse her uncle perpetrated on other members of her extended family. “I knew a monster and allowed him to be around the people I love the most,” she said. “The scars and memories that are in my head are something that will always be with me. What I do give this man today, my abuser, the monster that has destroyed my good memories, are my feelings of guilt and unworthiness and I hope he is able to live with them, as I couldn’t, and they were never mine to hold onto for so long,” she read. 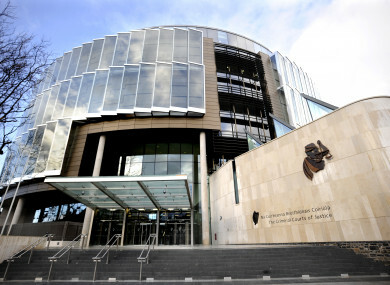 Passing sentence, Judge Melanie Greally condemned the “relentless regularity” of the abuse and the enormous breach of trust it represented, taking place in a grandmother’s home where, she said, “children should expect to be safe and cherished”. Email “Former soldier jailed for three years for sexually assaulting niece and nephew”. Feedback on “Former soldier jailed for three years for sexually assaulting niece and nephew”.